Today, we’re making it easier for larger businesses to use Google’s cloud services by announcing the Cloud Transformation Program. Over time, we expect that partners will expand their focus as we add new cloud services. We’re excited to have CSC, Cloud Sherpas, Cognizant, Opera Solutions, Razorfish, SADA Systems and TempusNova as our initial Cloud Transformation Program partners. These partners all have deep expertise and a proven track record of success helping businesses make the most of their IT investments, so we appreciate their support. To learn how you can use Google’s cloud services in your business, please contact one of our partners directly. 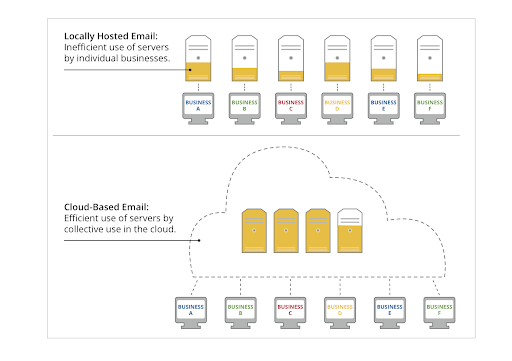 We believe our customers should have lots of visibility into how we protect the data that is stored in Google Apps. And while it’s one thing for us to tell you how we protect the data, as we do in our blog posts and security white paper, it’s also helpful when independent third parties perform inspections and audits. Cloud computing companies use the the SSAE 16 Type II audit, and its international counterpart ISAE 3402 Type II audit, to document and verify the data protections in place for their services. These auditing standards are defined by the The American Institute of Certified Public Accountants (AICPA) and the the International Auditing and Assurance Standards Board (IAASB), respectively. These audit standards have replaced the SAS 70 Type II audit, which Google Apps first completed in 2008. In our audits, we specify the confidentiality, integrity and availability controls that our customers are most concerned about, which are then verified by our auditors. We recently announced that we’ve successfully completed the SSAE 16 and ISAE 3204 Type II audits for Google Apps, Postini services, Google Apps Script, Google Storage for Developers and Google App Engine. 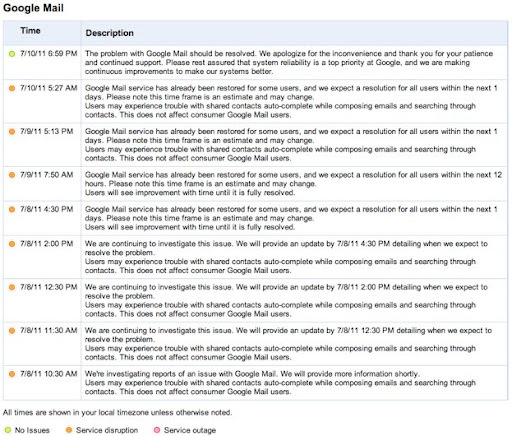 Third party audits are only part of the security and compliance benefits of Google Apps. For more information visit our Google Apps security page. Editors note: Today our guest blogger is Dirk Marshall, IT Manager for the City of Mesquite, Nevada. We’ll hear from Dirk on the benefits the city is enjoying by migrating 180 users to Google Apps. Situated in picturesque Clark County, Nevada, the City of Mesquite features a thriving community, seven premier golf courses, lush casino resorts and a growing population of happy retirees. Faced with growing budget constraints, the City was ready to upgrade its aging infrastructure and reduce IT overhead costs. We were looking specifically for a better way to align our technology with the productivity needs of our employees and simplify our IT systems. We were already maintaining two networks, Microsoft and Novell GroupWise, to meet our needs. As you can imagine, the licensing and maintenance fees for two different sets of servers were quite high. The City of Mesquite has 180 employees, all of whom rely extensively on email and calendar. For example, there is heavy calendar sharing between management and their assistants, and many departments rely on resource scheduling for conference rooms and technical properties. During our cloud technology evaluation process, we focused on finding a platform that could maintain or enhance these features. Google Apps proved to be a cost-effective suite of applications that supported our work flows. The switch to Google Apps has been widely accepted by city employees. Compared to Novell GroupWise, email management is easier and we have improved collaboration. Employees can co-edit documents in real time from different locations using Google Docs, which greatly reduces our need to meet face-to-face for certain projects. They also benefit from being able to access applications, emails and files from their mobile devices. The city departments used to send monthly PDF reports to the Mayor and Council, but now they are using Google Sites to share department news updates and statistics in a more graphical and easily accessible way. The Google Apps platform has been both flexible and incredibly easy to use. With the help of our Google Apps implementation partner SADA Systems, we developed custom tools to easily activate important features and calendars for new users. This allows our employees to get up to speed more quickly and start collaborating productively sooner. In addition to realizing important cost savings, we were also able to simplify our IT infrastructure and free up IT admin resources by moving to the cloud. The tedious and time consuming email backups and data recovery processes were eliminated. We were able to get rid of our Novell-dedicated servers and reduce our on-premise server count by six. With the time and resources saved, our IT team can focus on other critical missions to better support our government. Editors note: Today’s guest blogger is Eric Hunter, Director of Knowledge Strategy and Technology at Bradford & Barthel, LLP, a mid-size law firm in Southern California. See what other organizations that have gone Google have to say. In the legal industry we have a concept called law2020 - the idea that technology and the economy are causing law firms to change the way they run their businesses to survive in the next decade. Technology like Google Apps and social applications are creating a culture where the legal industry is much more connected with clients and clients have much more access to information about the law. Our primary reason for investigating Google Apps back in 2009 was to start preparing our firm to keep up with this new culture of constant communication and to help employees enhance client relationships through better sharing and collaboration. Since we migrated to Google Apps in April 2010, we’ve made collaboration much easier and more efficient through the use of Google Sites, Google Docs, and shared Google calendars. Our attorneys have found Google Apps to be intuitive and flexible. With Google Apps, constant innovation comes with the package and we’re pleased by how many new features have been introduced over the past year and a half: priority inbox, offline access and page-level permissions in Google Sites, to name a few. As part of our competitive strategy moving forward, our goal is to use Google’s video, voice, and social tools to enhance collaboration both internally and with our clients. We use Google Sites and Docs as our intranet and portals with our clients. As a result of this improved communication, we’ve seen improved efficiency across our departments, areas of practice, and externally with our clients. Teams are collaborating directly with clients when developing new business and during trials and depositions. As a law firm handling confidential information for our clients, Bradford & Barthel takes security extremely seriously. We’re responsible for private information on individuals and companies and our best security option is Google Apps. Google has many security features - SAS70 Type II certification and two step verification included - that allow us to feel confident our data and the data of our clients is much safer than if we hosted it on premise. Google Apps allows Bradford & Barthel to adapt and succeed in the digital age as we move towards the year 2020. We’re continually improving our knowledge sharing and collaboration tools. We’ve already seen a lot of productivity improvements and stronger relationships with our clients, and our firm’s approach to business is evolving as we continue to realize the benefits of technology in the legal industry. Technology failures and natural disasters can significantly impact your business. Planning for them can be cumbersome and expensive. In a typical on-premise IT environment disaster recovery often means redundant infrastructure, backup tapes or storage area networks and a lot of IT complexity. Some businesses even build and manage duplicate data centers, specifically for disaster recovery, and those data centers sit idle the majority of the time. Google Apps offers a better way, with robust disaster recovery capabilities built right in. Our RPO design target is zero data loss and our RTO design target is instant failover. This means that if there is a disaster or disruption that affects one of our data centers, we are able to shift users to an alternate data center, so they can can continue working uninterrupted. And while no disaster recovery solution from any provider is perfect, we are proud of the benefits our customers gain. Planning for disasters is a big challenge, but with Google Apps you have fewer things to worry about. Your email and documents will be accessible so your business can continue despite the disaster. It’s one of the main reasons that businesses trust Google Apps with their data. As a global cloud provider, we’re often asked by our customers how we protect customer data within the frameworks of local privacy laws, and in particular in the EU. Our approach, just like over 2,500 other US companies that offer services in Europe, is guided by the US - EU Safe Harbor Agreement, which is designed to ensure that transatlantic data transfers remain protected according to seven core EU-like privacy principles. In practice, for Google, Safe Harbor means our users in both Europe and the US can be sure they’re getting not just the same level of service, but also the same level of privacy protection. You can learn more about our commitment to this legal framework from our recent European Public Policy Blog post and find additional information on what this means to your business on our data protection page. We are pleased to announce the newest release of Google Earth Pro! Version 6.1 focuses on user experience improvements that empower professionals to make faster geographic-related business decisions. Google Earth Pro is a simple yet powerful tool used by industry professionals all over the world. Businesses in retail, construction and insurance save travel time by inspecting, measuring and profiling land parcels before visiting the site. Many companies use Google Earth Pro’s high resolution prints for client meetings and presentations. Other companies use the Google Earth Pro import tool to overlay spreadsheet or GIS data on a map. You can read about other use cases on our customer stories page. Real estate and insurance professionals can analyze distances more effectively with the combined Ruler and Elevation Profile tool, as shown in this measurement of San Francisco, above. Print high-resolution screenshots with scale bar and north arrow for client meetings and presentations. Enhanced Print Layout: Print maps and overlays in premium resolution for tactile collaboration with key stakeholders. Improved output and paper handling allow fine controls for professional-looking deliverables. Simplified Movie Maker: Create professional video presentations to share with your target audience. Render saved tours as videos, or take the director’s seat and record live actions from the 3D viewer. Consolidated Measurement Tool: View path length and elevation profile in one window to better understand the 3D environment surrounding your area of interest. Expanded Data Styling: With 64 unique styling attributes available for each imported dataset (compared with eight in previous versions), users have greater control over the look and feel of their data. Improved Networking Infrastructure: Earth Pro 6.1 offers better support for network proxies and SSL certificates commonly found in corporate networking environments, making it easier for business to use Google Earth Pro within their network security guidelines. Click here to download the latest version of Google Earth Pro for your organization today. We recently announced that more than 4 million businesses run on Google Apps and 5,000 more are signing up every day. Many of these business “go Google” for enhanced security features. One example is 2-step verification, an opt-in security feature that we added to Google Apps last year. 2-step verification adds an additional layer of protection to your account and significantly reduces the risk of unauthorized access. With 2-step verification, you sign into your account with both your password and a one time verification code you get on your phone. You can generate the code with a mobile app (on Android, iPhone and Blackberry), or get it in an SMS text message or a voice call. This feature helps ensure that only you can sign in to your account. It also helps protect you if your password gets stolen via phishing attempts, keyloggers or other malicious software, or from another website where you might have used the same password. Without the verification code, hackers can’t access your Google Apps account—even if they have your password. While two-factor authentication is not a new concept, many businesses have historically struggled with deploying it due to cost, IT complexity and usability issues associated with requiring users to carry separate token generators. Google Apps includes 2-step verification at no additional cost, using existing phones to make it simple and easy to deploy. It’s available in over 40 languages and in more than 150 countries. We also support Security Assertion Markup Language (SAML)-based Single Sign-On (SSO) for businesses that already use separate authentication technologies and would like to continue using them. Google Apps for Business supports the SAML 2.0 specification and allows businesses to apply custom security features, password management policies, and their own two-factor authentication solution. This SSO capability is an alternative to the 2-step verification feature that is included with Google Apps. Protecting your accounts with strong authentication mechanisms is a great way to help ensure your information remains safe online. If you are an existing customer, you can easily configure 2-step verification, once your administrator has enabled the feature for your domain. With frequent updates, Chromebooks automatically get better over time. During this webinar, you’ll learn about the newest business features for Chromebooks, including VPN and secure Wi-Fi (802.1X) support , as well as apps optimized for Chromebooks that make these computers even more flexible for business. With built-in Wi-Fi and 3G, it’s rare for Chromebooks to be without internet access. However, we’ll review new offline functionalities for our apps, including the new Gmail Offline app and offline modes for Google Docs and Google Calendar that allow Chromebook users to be productive even without connectivity. And, for employees who need access to their desktop software, we’ll demo a “tech preview” of Citrix Receiver optimized for Chromebooks. If you're a Citrix customer, this app enables access to your virtualized applications right from the web browser. We’ll also include time for Q&A with Chromebook product specialists on topics of your choice. At Google, we fully support the European Commission’s efforts in this area. Cloud computing is gaining traction in Europe and elsewhere. The cloud saves users money and it creates jobs. According to a recent study from Professor Federico Etro of the University of Venice, cloud computing in the EU will contribute 0.4% of GDP and create a million jobs by 2016. Similarly, in the United States Vivek Kundra, previously the Obama administration’s Chief Information Officer, recently pointed out in the New York Times that U.S. government agencies can gain significant economic benefits by moving their IT services to the cloud. And, as we said in July, the United States has reached out to industry for input. We’re thrilled that governments in Europe and the United States are so enthusiastic about cloud computing. The legislative framework: We suggest proposals to facilitate cloud adoption and to remove the legislative and administrative barriers service providers are facing in Europe, and still preserve consumer values and data protection. Embracing interoperability and data portability: Google has put a lot of effort into tools and solutions aimed at giving users control over their data in the cloud and making data genuinely portable. Public sector clouds: the public sector should lead by example in important fields like security and procurement, at the EU, national and local levels (similar to the “Cloud First” strategy in the United States). Global solutions for global problems: one of the advantages of the cloud is scalability, which needs to be fostered by setting global standards, in particular in the areas of data protection and security. At the end of the day, the European Commission has a great opportunity to come up with a proposal that modernizes the EU legislative framework and especially the EU data protection regime. The cloud offers the possibility to truly leverage the digital single market to the benefit of all Europeans, both users and providers, and we at Google hope our proposals will help the Commission take the right steps going forward. 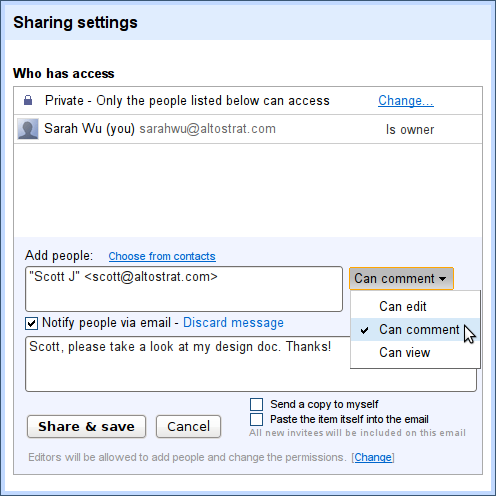 Over the next few days, we're releasing a new sharing option so that you can let people view and add comments to your documents without giving them edit access. To give comment-only access to your document, click on the Share button. From there, add in the contact you’d like to share your document with, and select Can comment. 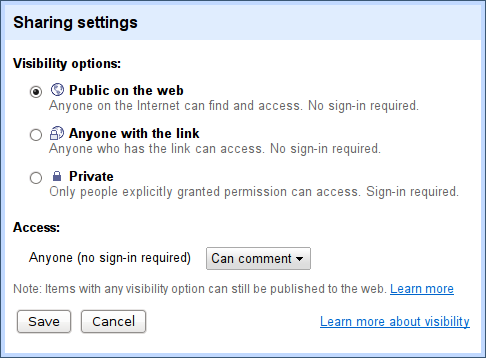 Similarly, if you’re using a Google Apps account, click Change in the sharing settings and select either “People at [your domain] who have the link can access” or “People at can find and access.” Then change access option to Can comment. When users think of Google Apps, they often think of their Gmail inboxes or collaborating on documents in real time with others. They often don’t think of what’s going on behind the scenes. Our cloud computing data centers offer our customers scalability and reliability across all of our products and websites, supporting millions of businesses on Google Apps and over 1 billion Internet searches every day. Our pure and proven cloud offers Apps customers significant data protections that would be hard for those customers to achieve on their own. It’s also the infrastructure that we use to run our own business. As we’ve grown, we’ve developed an expertise around building data centers and protecting the data stored in them. The machines in the data centers that run our applications are built to our own specifications, including ones focused on security. The hardware is limited to what is necessary for the applications to run, and eliminates unnecessary components such as peripheral connectors or video cards. Similarly, the software that we run on the machines is a specialized, stripped-down version of the Linux operating system leaving out any unnecessary software code such as device drivers. This approach helps provide a computing environment that is less prone to vulnerabilities, compared to typical on-premise, so called “private cloud” or hybrid IT environments. The services we offer are first and foremost Internet-based applications and platforms. We were born on the Internet, not on a single computer or server. We've published some of our core underlying technologies such as BigTable, the SPDY protocol, Google FIle System (GFS) and MapReduce. The last two of which have gone on to inspire Hadoop, the Apache open source framework that underpins many leading cloud or big data applications. Googlers Luiz André Barroso and Urs Hölzle even wrote a mini-book about some of Google’s approaches, entitled “The Datacenter as a Computer: An Introduction to the Design of Warehouse-Scale Machines”. Lots of users leads to lots of network traffic that allows us some significant advantages in terms of security. For instance, the spam filtering in Gmail gains rapid visibility into emerging and evolving spam and virus threats, which in turn helps us to block the vast majority of them. This kind of large scale Internet infrastructure also typically provides better protection from denial of service type attacks. It also puts us in a position to spot malicious traffic and help protect users from malware. Unprecedented global scale would not matter without the ability to reliably deliver business critical services. That is another powerful feature of Google’s technology and process discipline. We’ve built our platform to withstand expected hardware failure, relying on software and highly automated processes in order to support a 99.9% uptime SLA that has no maintenance window. 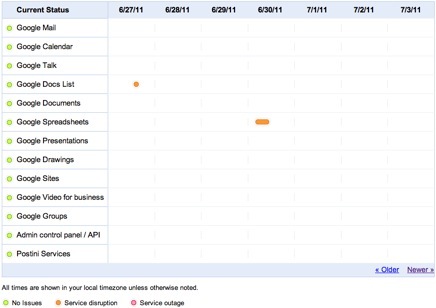 In 2010 Gmail uptime was 99.984% and we are over 99.99% for the first half of 2011. This is an approach you fundamentally can’t take with traditional on premise IT systems. Running data centers at this kind of scale takes energy, but as a carbon-neutral company we strive to use as little as possible - in fact, our facilities use half the energy of a typical data center. You can read more about our efficiency efforts and our approach to purchasing renewable energy. In just the 4.5 years I’ve been at Google, I’ve seen quite a few generational changes in the kit we run, be it “simple” things like sheet metal for servers to something more complex like our motherboards, or something even more fluid and complicated like our various software layers. Through all those upgrades, build outs, and migrations, the focus on reliability remains. This is something that keeps me coming back to work day after day, and drives me to help others understand the value we can add to protecting their data and powering their businesses.